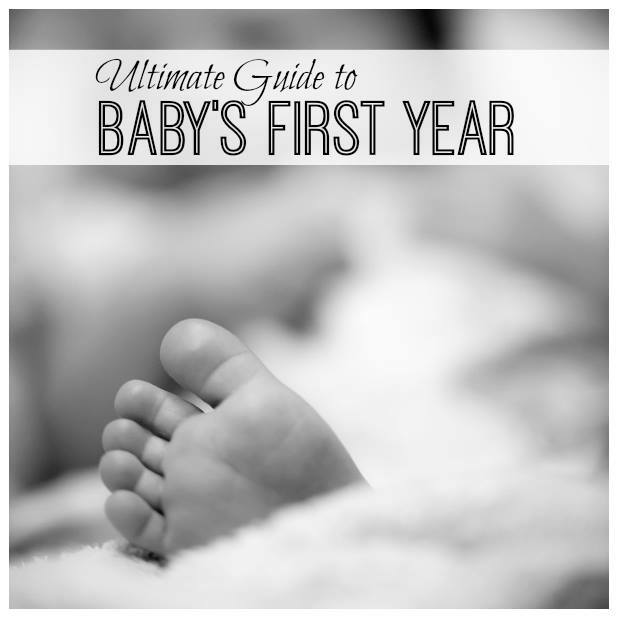 Good morning on day 3 of the Ultimate Guide to Baby’s First Year blog hop! Today is all about feeding baby and you’ll find a lot of interesting stories and tips about breastfeeding, bottle feeding, starting solids, and much more in the contributions of my fellow bloggers, just scroll to the bottom of this page! If yesterday was all about tips, today I’ll tell you a story. Birdy must have been two or tree weeks old when my mother-in-law asked out of the blue: do you give her water or tea? I’m breastfeeding and hadn’t even considered that I might need to give the little something else than breast milk. We explained that to my mother-in-law and let the topic rest. Until a few days later my mom wanted to know: do you give her water? This clearly was a case for second opinion so I decided to ask my midwife (Germany has an awesome visiting midwife system, read all about it in my post here). She explained that the habit of giving babies water or tea goes back to the time when it was believed that a baby should eat only every 3 hours or so. So they were given something else to calm them down in between meals which, supposedly,sometimes lead to too low weight. According to her, babies don’t need any additional liquids until the point when they start solids, i.e., around the age of 6 months. And you might want to wait with tea until they’re around a year old. During the first 10 minutes or so of breastfeeding the milk is thinner and thus serves to quench thirst so even in hot summers babies don’t need any water but you might need to feed them more often and for shorter periods. No matter what baby food producers might what you to believe, giving a baby tea for calming their tummy is less efficient than the mother drinking some fennel, anise & caraway tea herself and letting it get to the baby through breast milk. Before you leave don’t forget to click on the image below or scroll to the bottom of this page to read what my fellow blog-hoppers have written about today’s topic: feeding baby!